You're so talented! Love the design for your Christmas cards! These are so cute! I'm thinking that we won't send cards this year since I'm so behind! Maybe I should write them throughout the year so that they're ready to go next December 1st? 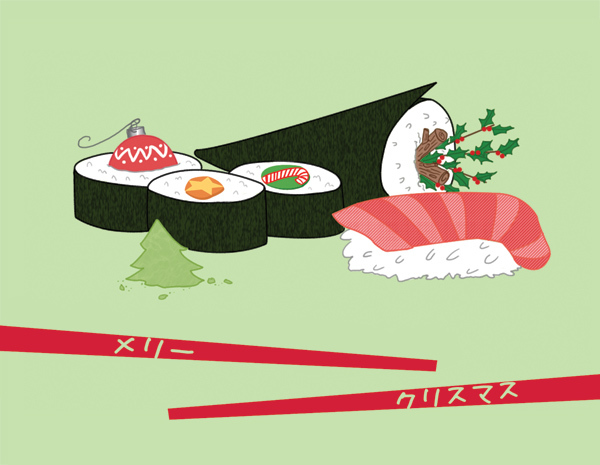 I will vouch for Sak -- it does say "Merry Christmas" in Japanese! These are sooo creative and cute!! We went the standard route. I found a deal on Minted.com a while back and ordered. I love sending out and receiving Xmas cards!! Aw you have the cutest cards each year!